First and foremost, this is a Lego game. Furthermore, this is at least the 15th licensed Lego game since 2001. As such, you will get the same block-breaking, stud-collecting, object-building, character-swapping mechanics you’re used to from a Lego game. I would be lying if I said it wasn’t stale by now, or at least repetitive. 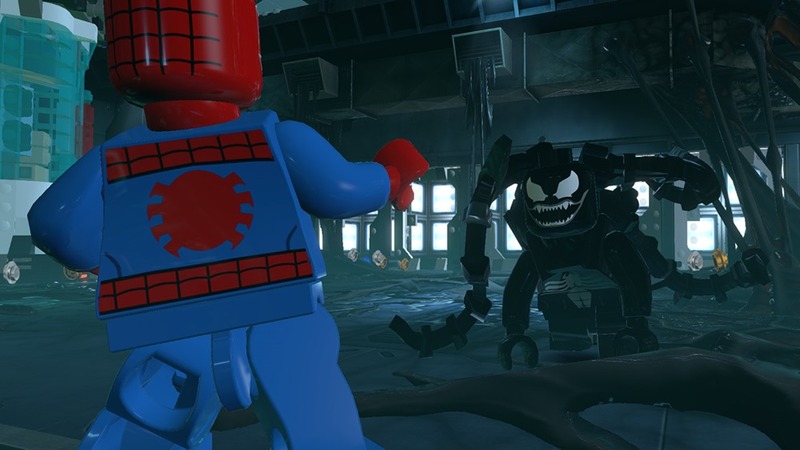 What it takes to make that stand out are unique characters and abilities, and Lego Marvel Superheroes has that in spades. Unlike Lego City Undercover (which I really did not like) I enjoyed the characters here. They weren’t as “Saturday morning cartoon” goofy and stayed true to the established personalities. They’re over-the-top in their characterizations but they faintly remind me of the old-school bravado from the 1950s-era comics. The game play stays interesting as long as you have interesting characters to play as, which is a large amount of the time. Personally, I almost groaned whenever I was tasked with the Hawkeye and Black Widow tandem, but most of the other characters were a lot of fun. It’s a lot of fun to pick fights just to see how your character reacts since the developers programmed in a ton of unique, character-specific fighting animations, from Captain America dazzling his foe by spinning his shield (before sucker punching them) to the Hulk picking up an enemy by their leg and slamming them side to side on the ground. There are times where you get to drive a vehicle and they control worlds better than they did in Lego City Undercover. I just wish they had recorded more lines for people getting run over – I heard the same lady say the same line 5 times in a row during one road rampage. The graphics are solid, with the typical Lego look, but some of the lighting and shader effects really stand out, particularly during one sequence in a fiery factory. The music is surprisingly entertaining and not obnoxious. There are your usual triumphant scores that come in occasionally but nothing as over-the-top as in Scribblenauts Unmasked. The voice work is solid and they match the characters well. I did have some significant issues with clipping, including getting stuck halfway through a roof once, forcing me to quit and reload from my last save. The scene transitions seem to run a little too long, giving bad guys time to run up and punch you while you’re waiting to get control back. I lost count of how many times I had to go back and manually run one member of my crew to catch them up with the rest. The AI would usually catch everyone else up but sometimes one random character would just loiter near an earlier point in the level and I would have to switch to them, which would encourage the rest of my crew to run back to the character I had just switched to. The bulky character collision detection also makes for times where you are in a cramped area and can’t get the one character you need to solve a puzzle to the front of the pack. 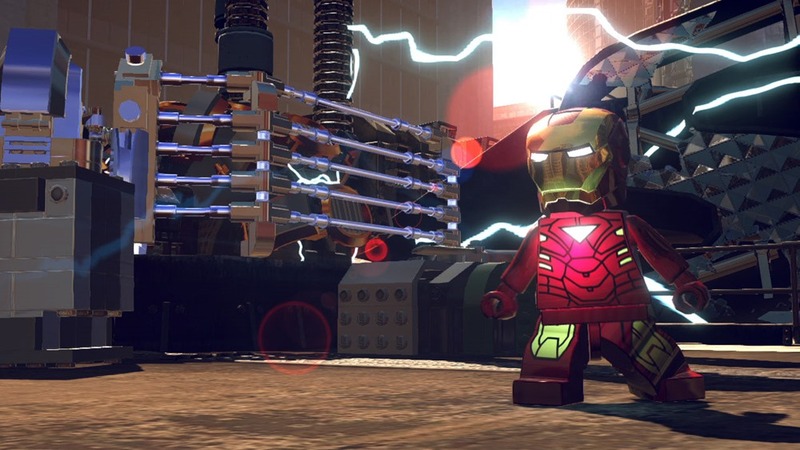 Lego Marvel Superheroes is a fun Lego game, and the sheer number of playable characters is amazing. It’s not just a game for Lego and/or Marvel enthusiasts but is just a fun action game in general. Provided you’re not 100% burned out on bricks – and some people are – you’ll have some fun here.